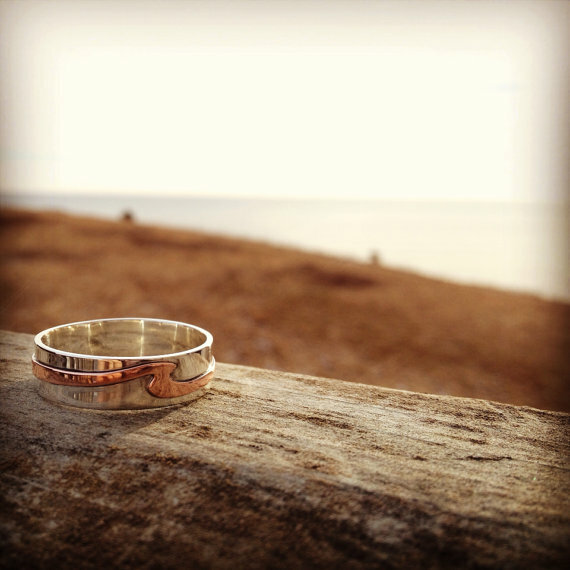 Follow along and learn about Bridget Turner Jewellery's adventures. It’s been such a long time since I wrote about my work as a jewellery designer, in fact I think it has been years so its about time I have shared where my jewellery is going and all the adventures my jewellery making has taken me! In the past couple years my wave ring collection has started to evolve into a larger collection in part due to working with clients to design their dream! 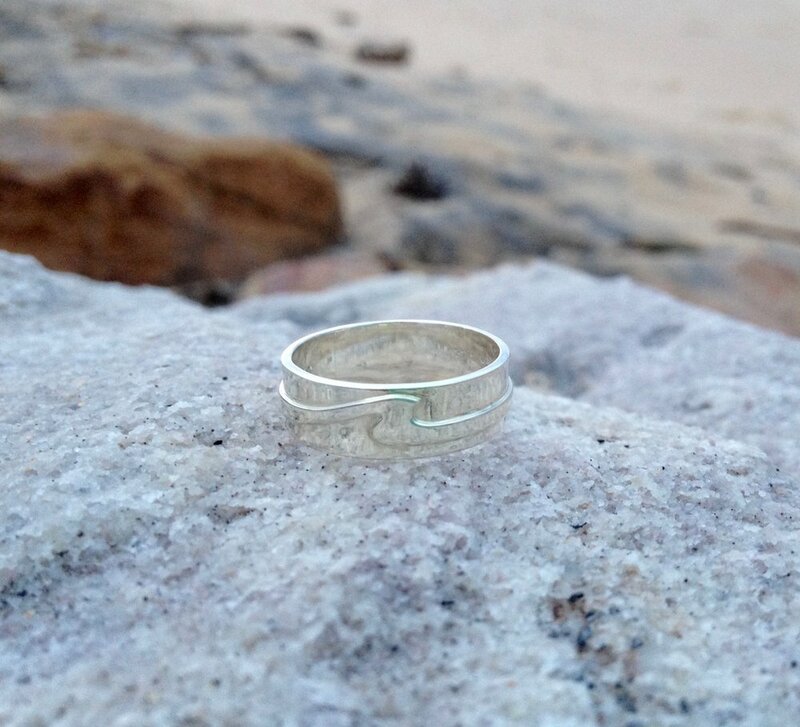 It all began when I designed a wave ring for my friend's boyfriend; he was back home in Australia and she was missing him from here in Nova Scotia. Their love for the water and waves brought them together on a lifeguarding exchange that our lifeguard service does annually between Nova Scotia, Canada and Wollongong Australia. The wave ring was in silver and copper, little did I know it was just the beginning of a variety of wave rings to follow. 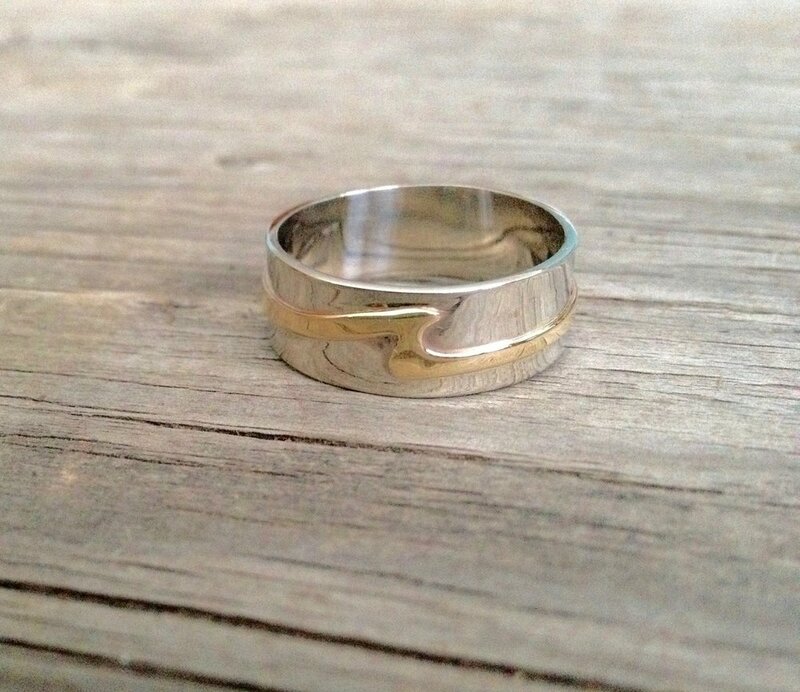 If you're looking for to add your touch to a wave ring for yourself or loved one, here is a gallery of many metal combinations. My next post will help you choose what metal suits your lifestyle! As always if you have any questions or inquires feel free to contact me here.